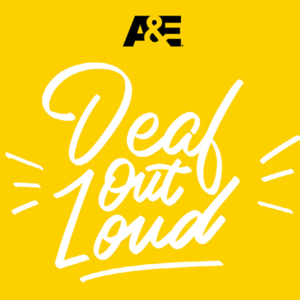 The trailer is out for A&E’s new documentary special, Deaf Out Loud, featuring two Texas School for the Deaf (TSD) families: the Garcia family and the Mansfield family. The Garcias are a family of eight—four of their children attend TSD. Francisco, the father, is a TSD alumnus. His wife, April, is hearing but is a child of deaf parents. Both are founders of Hope’s Lighthouse and advocates for fostering and adoption of deaf children. The Mansfields - Sheena McFeely and Manny Johnson - who are both deaf, are founders of the online educational website, ASL Nook. They are a family of four and communicate exclusively using American Sign Language (ASL)—although, one daughter is hearing. A&E producers discovered the Garcias through the family’s YouTube videos and the Mansfields through their Disney Parks & Resorts TV commercials. The documentary special, executive produced by Academy Award winner, Marlee Matlin, is scheduled to premiere on September 12, 2018 at 7 p.m. (CST) on the A&E Network. To show the world an added perspective into the deaf community – with some scenes filmed at TSD - the school Superintendent, Claire Bugen, is especially excited A&E is featuring five TSD students and their families. “With A&E’s amazing success with the documentary series, Born This Way - which focused on adults living with Down syndrome, Bugen says, “it’s wonderful that the series is now focusing on families who are deaf, and deaf children. “And, it’s awesome this special will premier just ahead of the annual Deaf Awareness Week. During Deaf Awareness Week, September 23-29, 2018, TSD will be hosting several events to celebrate the occasion, bringing awareness to the rich and vibrant deaf community, as well as to our welcoming TSD community. Please watch our TSD Facebook page @texasschoolforthedeaf for more. Watch the trailer for Deaf out Loud now at: https://www.youtube.com/watch?v=UKK1vTnq9mI.